The following is the recently accepted abstract/proposal for a paper I’ll be presenting at the MANCEPT 2014 workshop on “The Current State of Libertarian Philosophy,” 8-10 September 2014, in Manchester UK — appropriately enough, since left-libertarianism of the C4SS variety has been described as consistent Manchesterism. Over the past decade a form of thought generally called “left-libertarianism” has become increasingly prominent and debated in libertarian circles, indeed attracting vigorous criticism. This form of left-libertarianism should not be confused with the position of the same name associated with Peter Vallentyne, Hillel Steiner, and Michael Otsuka, combining self-ownership (the libertarian part) with some sort of common ownership of natural resources (the “left” part). Within the broader libertarian movement “left-libertarianism” ordinarily refers not to the Vallentyne-Steiner-Otsuka position but to a movement combining a) a radical — in most cases actually anarchistic — commitment to freed markets, private property, and laissez-faire; b) an orientation toward class analysis and a rejection of hierarchical workplaces, corporate dominance, and gross economic inequality as evils both akin to and largely enabled by statism (especially by regulations that allow favoured corporations to reap the benefits of economies of scale while socialising the costs of diseconomies of scale), in favour of horizontal organisation and worker self-management; and c) a concern with combating forms of social privilege such as patriarchy and misogyny, white supremacy, heteronormativity and homophobia, cissexism, and ableism, again as evils both akin to statism and standing in relationships of mutual support with it. Opposition to militarism and nationalism, and support for environmentalism and open borders, are also part of the mix. This movement takes its left-libertarian label not from the comparatively recent usage by Vallentyne et al. but from the “libertarian left” that emerged out of the all-too-brief rapprochement between free-market libertarianism and the New Left that occurred in the 1960s and 1970s through the work of such figures such as Roy Childs, Karl Hess, Murray Rothbard, Carl Oglesby, and Samuel Konkin. But while its roots lie in the left-libertarianism of the 1960s and 70s, left-libertarianism in its current form has taken its present distinctive shape through the contributions of such writers as Kevin A. Carson,  Gary Chartier,  and Charles W. Johnson,  and is represented by such organisations as the Alliance of the Libertarian Left and the Center for a Stateless Society, as well as by such websites as Rad Geek People’s Daily and Invisible Molotov. Today’s left-libertarians draw ideas from social anarchists on one side and anarcho-capitalists on the other (though each of these two sources of inspiration tends to dismiss left-libertarianism as a front for the other one). But left-libertarians are closest to the pro-free-market, anti-capitalist, anti-privilege position of such 19th-century individualist anarchists as Stephen Pearl Andrews, Voltairine de Cleyre, William B. Greene, Ezra Heywood, Thomas Hodgskin, Lysander Spooner, Benjamin Tucker, and Josiah Warren. (Many of these thinkers, despite their devotion to free markets, regarded themselves as “socialists” owing to their opposition to capitalist privilege. Andrews, Greene, Spooner, and Warren were even members of the American branch of the First International before the Marxists booted out all such refractory individualists.) Additional inspiration comes from Chris Matthew Sciabarra,  whose work traces affinities among the unlikely trio of Karl Marx, Friedrich Hayek, and Ayn Rand, and emphasises the importance of systematic dialectical connections among political, economic, and cultural phenomena – though both Sciabarra’s leftism and his libertarianism tend to be more moderate than the versions espoused by left-libertarians. Left-libertarianism should not be confused with Bleeding Heart Libertarianism (BHL). Insofar as BHL represents a fusion of the free-market commitments of libertarianism with the social-justice concerns of the left, left-libertarianism may be counted as a subset of BHL; but left-libertarians tend to be more radical, in both their leftism and their libertarianism, than the majority of those self-identifying as BHL proponents. (Of the fifteen principal contributors to the prominent BHL blog, only two are left-libertarians in the sense under discussion.) Most BHL proponents appear to see their libertarian commitments and their left-wing commitments as at least to some extent moderating each other; left-libertarians, by contrast, tend to see their libertarian and leftist commitments as mainly reinforcing each other. For example, many BHLs moderate their libertarianism by endorsing a guaranteed minimum income law, whereas left-libertarians tend to regard such laws as tools whereby the ruling class imposes discipline on the poor. Many BHLs likewise moderate their leftism by defending sweatshops as the “least bad option” for impoverished workers; left-libertarians would agree with BHLs that banning sweatshops would harm workers, but rather than praising sweatshops would favour striving to undermine the social and political structures that systematically deprive impoverished workers of better options than sweatshops. Left-libertarians tend to see existing economic institutions as far more deformed in the direction of inequality and privilege by government intervention than the majority of BHL proponents do. Relatedly, left-libertarians tend to look with greater favour on the labour movement and on unions. Most BHLs also support reforming institutions via the political process, whereas left-libertarians tend to deemphasise lobbying and electoral politics in favour of grassroots organising. One might say that if the dominant BHL aim is to fuse Hayek with Rawls, the dominant left-libertarian aim is to fuse Murray Rothbard with David Graeber. One concept often associated with left-libertarianism is that of “thick libertarianism”  — the idea that there are certain value commitments which, while not logically entailed by libertarian principles, are nevertheless bound up either conceptually or causally with those principles in such a way as to make them part of reasonable libertarian advocacy. For example, some of these additional commitments may be part of, or implied by, the most reasonable defense of libertarianism, or may be needed in order to choose between alternative ways of applying libertarian principles, or in order to make a libertarian social order achievable or sustainable. For most thick-libertarian advocates, this does not mean that those who reject such commitments do not count as libertarians; but it does mean that their libertarianism is less than fully realised. Thick libertarianism is not interchangeable with left-libertarianism, since those who see libertarianism as requiring for its implementation, say, a social order of deference to class superiors (yes, there are such libertarians!) would be thick but not left. But most left-libertarians do see such “left-wing” values as feminism, antiracism, and labour radicalism as thickly bound up with libertarian principle, on both conceptual and causal grounds. In this paper I will trace the origins of left-libertarianism, describe its current place within the movement, and defend its approach as superior (on thickness grounds) both to non-left versions of libertarianism and non-libertarian versions of leftism. Full disclosure: I am myself a participant in the movement I’m describing. 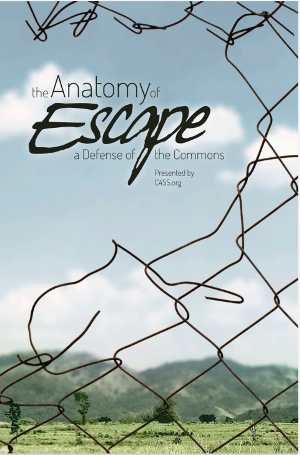 I’m a co-founder of the Alliance of the Libertarian Left, a Senior Fellow at the Center for a Stateless Society, and one of the aforementioned two left-libertarian contributors to the Bleeding Heart Libertarian blog. So, deduct points for objectivity but add even more points for informed familiarity with the topic! 2. 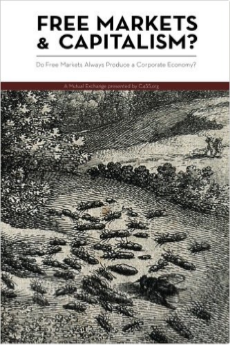 Studies in Mutualist Political Economy, 2nd ed. 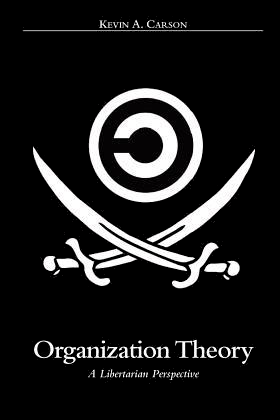 (BookSurge, 2007); Organization Theory: A Libertarian Perspective (BookSurge, 2008); The Homebrew Industrial Revolution: A Low-Overhead Manifesto (BookSurge, 2010). 3. 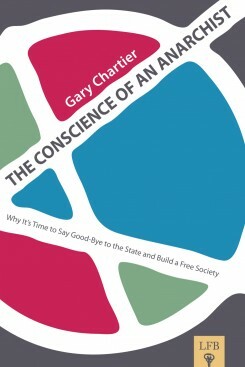 The Conscience of an Anarchist: Why It’s Time to Say Good-Bye to the State and Build a Free Society (Cobden Press, 2011); Anarchy and Legal Order: Law and Politics for a Stateless Society (Cambridge, 2012); Radicalizing Rawls: Global Justice and the Foundations of International Law (Palgrave Macmillan, 2014); ed., with Charles W. Johnson, Markets Not Capitalism: Individualist Anarchism Against Bosses, Inequality, Corporate Power, and Structural Poverty (Minor Compositions, 2011). 4. “Liberty, Equality, Solidarity: Toward a Dialectical Anarchism,” in Roderick T. Long and Tibor R. Machan, eds., Anarchism/Minarchism: Is a Government Part of a Free Country? (Ashgate, 2008), pp 155-288; cf. 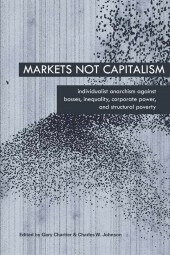 his co-edited volume Markets Not Capitalism in the previous note. 5. Marx, Hayek, and Utopia (State University of New York Press, 1995); Total Freedom: Toward a Dialectical Libertarianism (Penn State University Press, 2000); Ayn Rand: The Russian Radical, 2nd ed. (Penn State University Press, 2013).